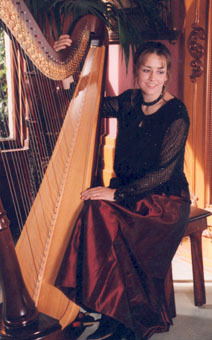 Shawna Selline won the All-Ireland Harp Championship in 1984, toured the U.S. twice, then settled down in Los Angeles to perform, record and publish her own harp compositions. Shawna Selline has performed at weddings and celebrations in most of the major hotels and museums in the Los Angeles area, including the Biltmore, The Bonaventure, the Ritz-Carlton, the Beverly Hills Hotel, Hotel Bel-Air, Shutters, the Getty Museum, the Los Angeles County Museum of Art, and the Huntington Library and Gardens. Shawna Selline has also performed in other types of cultural and historic venues, such as Greystone Manor, Castle Green, The Wayfarer’s Chapel, the Saint James Club, the California Club, Descanso Gardens, The Gamble House, Cal Tech, Disney Studios, Paramount Pictures, Warner Brothers, and Universal Studios, as well as in countless private homes. In addition to her own albums — “Foxglove” (1987), “Amaryllis” (1991), “The Versatile Celtic Harp” (1993), and “Meditation” (2000) — she has also recorded with artists such as Lisa Canon and Joan Baez. 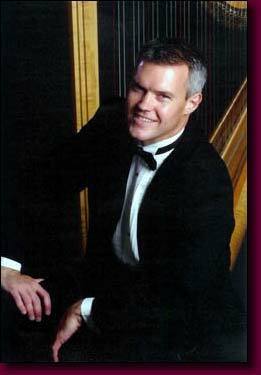 Her two books, Guide to Advanced Celtic Harp and Selected Pieces for Harp and Flute, have found a national following in the harp world. Shawna Selline is currently at work on a new album and a third book of compositions.